It’s a surreal feeling for this occasional off-road rider to be following KTM’s Dakar Rally team manager and former rider Jordi Viladoms along a bumpy Moroccan desert track at speed, kicking up clouds of dust from a spinning rear wheel, having recently ridden over a series of gleaming golden dunes. Launches of new adventure bikes don’t normally involve such spectacular views or challenging terrain. Then again, most adventure bikes don’t arrive with the sense of purpose that surrounds the 790 Adventure and the even more dirt-friendly Adventure R that I’m aiming through this vast desert playground. A year after KTM debuted its new parallel-twin platform with the 790 Duke, that naked roadster’s long-awaited dual-purpose siblings are here. The anticipation has been building. Large-capacity adventure bikes have been popular for so long, getting increasingly powerful and expensive, that a gap has opened up for a new breed of more manageable middleweights. 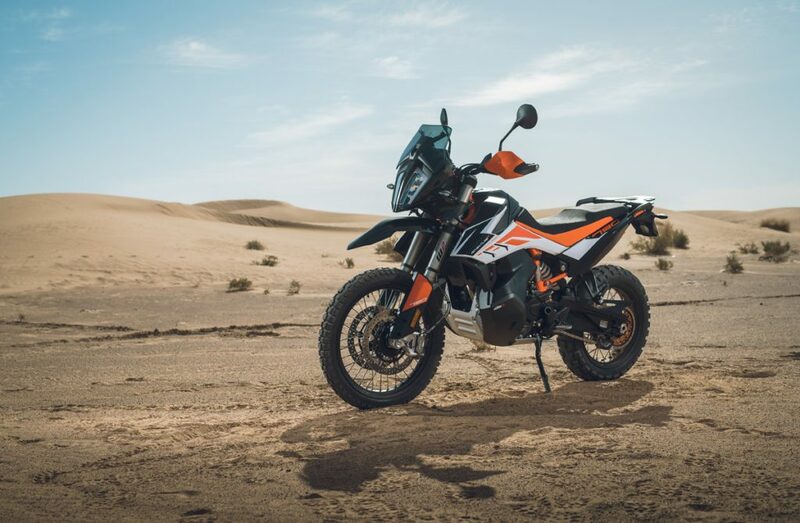 KTM seems an obvious contender to fill it, given the Austrian firm’s rapid growth and long experience of dual-purpose bikes, not to mention a competition heritage that includes a remarkable 18 consecutive Dakar wins. Expectation increased last year, when the Duke was launched combining a rev-happy 799cc engine, sweet-handling tubular-steel framed chassis and superbike-style electronics. This was big-bike technology and thrills in a cut-down package. The 790 Adventure promises more of the same with versatility thrown in. For Adventure use the Duke’s dohc, eight-valve engine is softened with new cams and injection, boosting midrange and trimming 10bhp off the top-end to leave a max of 94bhp at 8000rpm. 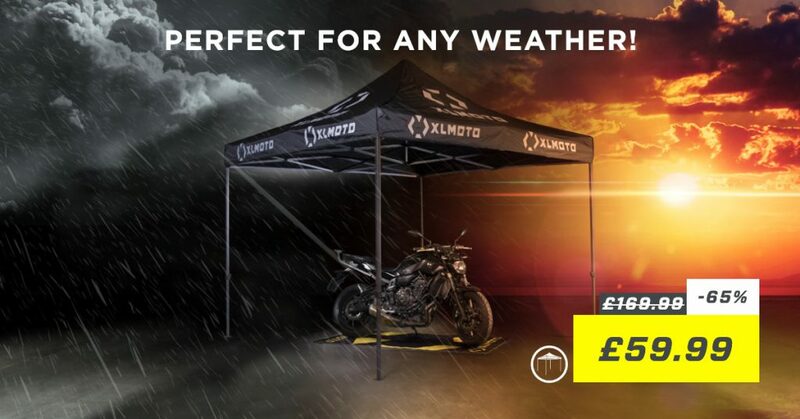 The frame is redesigned to hold a fairing, bigger radiator, aluminium bash-plate and a fuel tank that runs down each side of the motor to give a generous 20-litre capacity while remaining slim at its top. Both Adventures run wire wheels in 21in front, 18in rear diameters, with suspension their biggest difference. The standard 790’s WP units give 200mm travel at each end, with shock preload the only adjustment; the R is multi-adjustable and gives 40mm more travel. Along with a taller seat, the R-model has a shorter screen, high-level front mudguard and comes with more off-road oriented tyres (Metzeler Karoo 3 instead of Avon Trailrider). The standard 790, especially, immediately seems very manageable. Its height-adjustable seat allows most riders to get both feet on the ground, and at 189kg dry it feels notably lighter than large-capacity adventure bikes, especially as its tank shape keeps the centre of gravity very low. Its choice of riding mode (Street, Offroad or softer still Rain) is displayed on a colourful TFT screen. Throttle response is sweet, the twin-pot engine responding cleanly at low revs, picking up the pace at about 6000rpm, and revving from there with a superbly loose, free-spinning feel thanks to twin balancer shafts. Cruising at 80mph-plus is stable and effortless, helped by the useful if slightly blustery wind protection from a screen that unbolts to allow 40mm of adjustment. Flat-out the bike would be good for about 130mph. Roadgoing handling is excellent: stable at speed, enjoyably agile despite the big 21in front wheel, and impressively precise given the generous suspension travel, which is well-controlled – thankfully, given the minimal adjustability. Comfort on a short ride seemed pretty good; range should be well over 200 miles. Plenty of adventure bikes would make more relaxing roadsters, but few would be more fun. 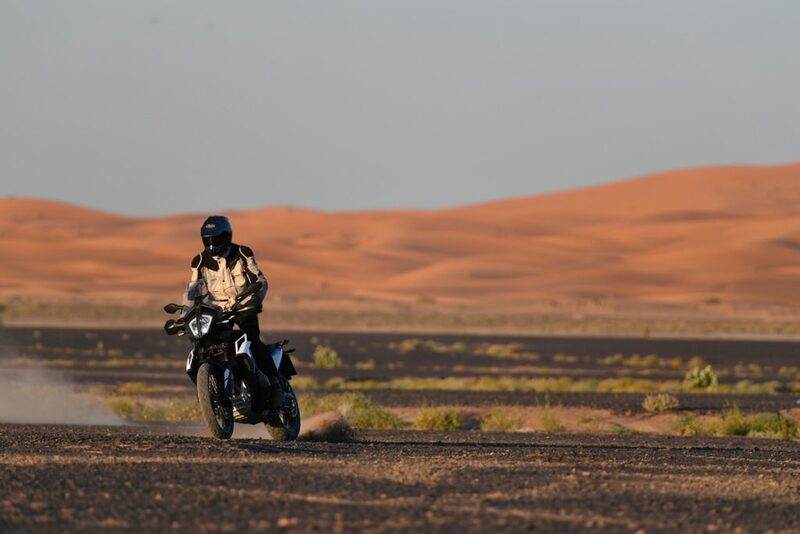 A brief desert blast suggested off-road performance would also be very good but the launch left most of the rough stuff to the Adventure R, shod for the event in suitably knobbly tyres, plus a few accessories including gearbox quick-shifter and Akrapovic silencer. Following Dakar ace Jordi on the sandy tracks where the KTM team train was mindblowing, especially on a bike so superbly suited to the job. 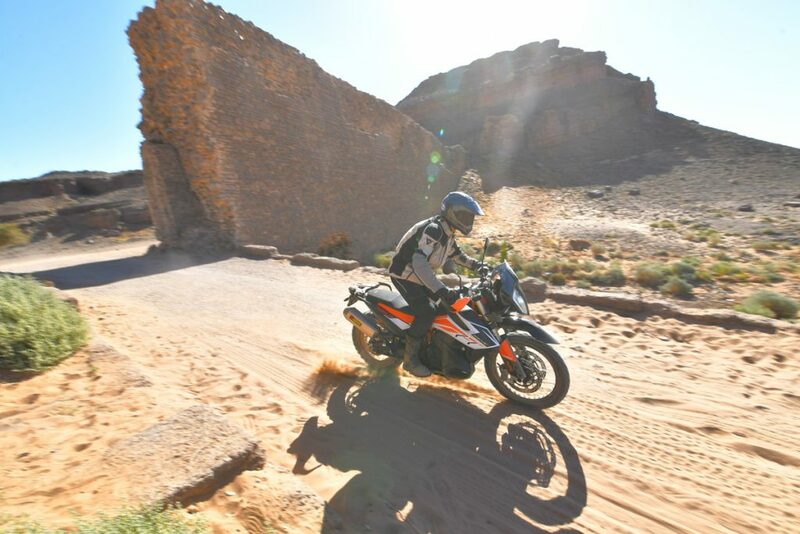 On firmer sections it was the KTM’s outstanding suspension quality that shone, allowing it to be blasted down rutted tracks and across open desert scrubland at speed, soaking up even big bumps yet with the damping control to remain amazingly composed. It’s clear that for off-road riding the R, in particular, has a significant edge over most rivals. Perhaps both Adventures’ only slight drawback is that, with the standard model costing roughly 25 per cent more than the Duke (at £11,099 in the UK) and the R ten per cent more again (£11,999), they’re close on price to some well established larger-capacity machines. 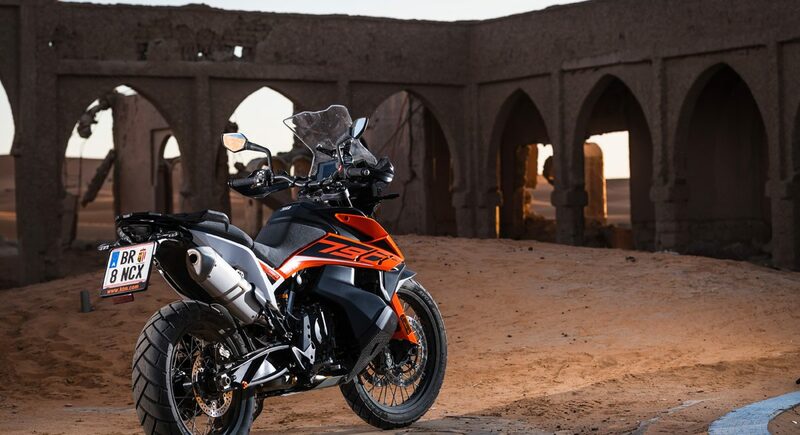 But as the KTMs’ lightness, agility, sophistication and versatility mean that for some trips and situations they’ll be the pick of the bunch regardless of capacity, that’s arguably really not a drawback at all.